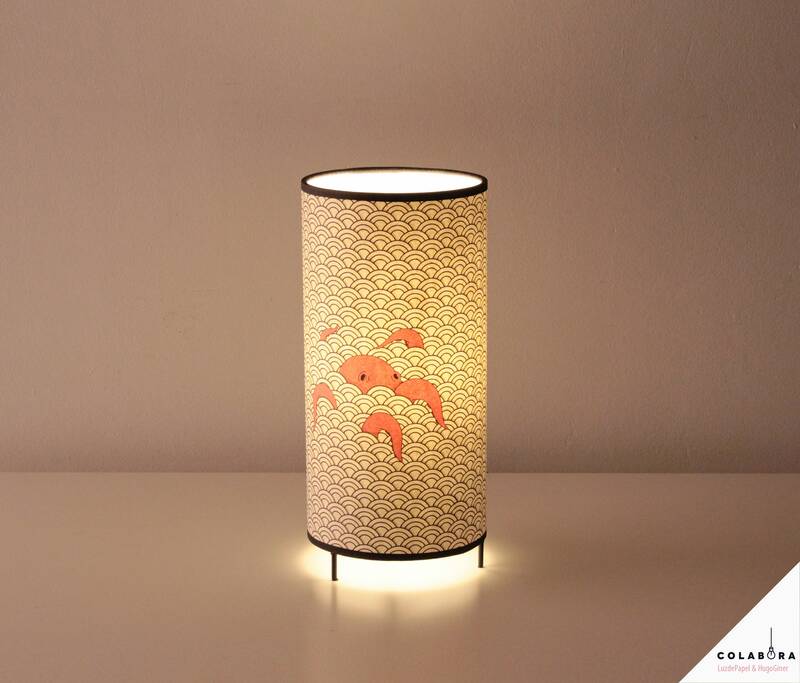 This handmade japanese table lamp is made with lots of love. Is a creation of the designer Hugo Giner and the maker and founder of LuzdePapel, Marta López. 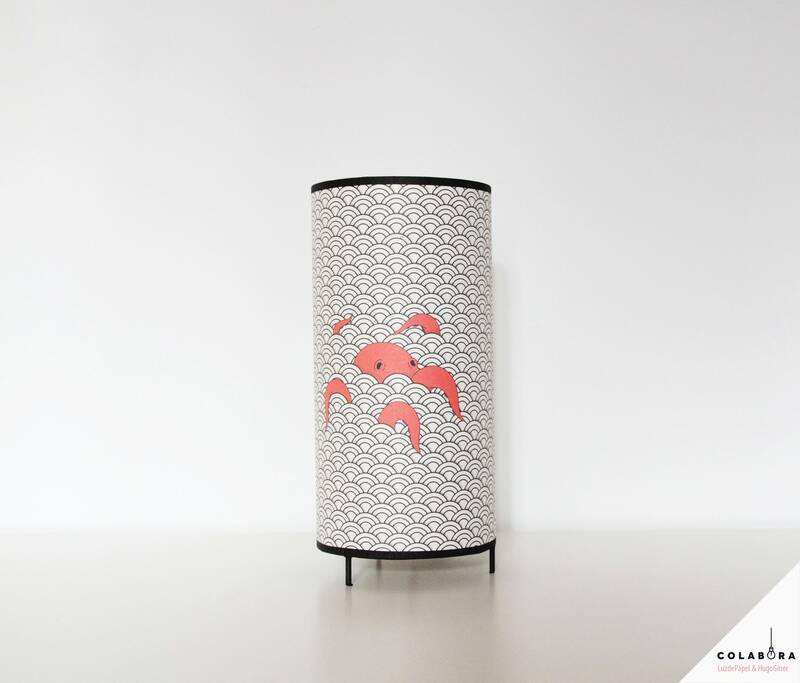 The lampshade is been printed with a Hugo's design and mounted by Marta. There you can see funny red octopus over a segaiha pattern. Perfect for decorating a japanese restaurant or bar. It's been printed in a high quality paper with a high quality printer and ink. And finished with a waterbased varnish. The lampshade has a pvc layer and a paper layer. The base pvc material is been produced in Spain and keeps all the EC requirements. The structure of enameled aluminum (antioxidant white lacquer) is 24,50 cm high and 12 cm in diameter with three legs (2cm). The product comes with a 1.5 m cord and switch. The bulb (recommended using 40 watts max if you use a filament bulb) is not included. We recommend using a led bulb. You'll save on your electric bill and help take care of our planet. Each creation we make is done by hand and each one is not identical to the others. Mycreations are handmade and they could have little differences among them wich give them value and character to the piece. ¡Thanks for visiting my shop!